While in Sturgis last August, I took the opportunity to meet the awesome chick rocker, Jasmine Cain, while she was signing autographs at a liquor store promoting her appearances and her job as spokesperson for Ole Smokey Moonshine, combining two of my other interests. She was extremely cool, beyond her talents and her adorableness and we immediately bonded over our ginger-ness, so we've stayed connected via Facebook over the intervening months while I attempt to get her connected with gigs in my area and continue to find out more cool things about her. One of my favorite discoveries about her is that she and her best friend and fellow chick rocker, Goldy Locks, tag everything they do online with #cupcakeslut. The moment I saw that, I had to ask what it meant. Apparently, they lust after cupcakes the way I do and post pictures and write blogs about their cupcake encounters too, so we had another connection immediately! I have done specialized cupcakes for many of my fun friends in Sturgis, so it was a natural for me to propose making some for them too, hopefully involving moonshine (you can see some chocolate dipped moonshine cherries on the right that I hope to integrate into this idea). 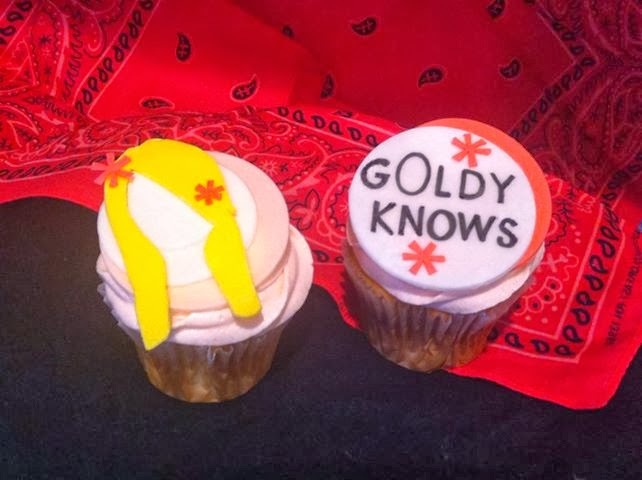 It also turns out that Jasmine and Goldy were about to launch a web show of their own online called Goldy Knows, so when they make it down here for a gig, we are hoping to film a segment of their show on how to make and decorate some of the specialty cupcakes I am coming up with for them. In the meantime, for the premiere of their second episode (viewable here: http://www.youtube.com/watch?v=6LE5i13ftGM), I made cupcakes and posted them to be virtually enjoyed. (If you get a chance to watch the episode, it's touching and important, but then watch episode one which is crazy and fun too!) Breaking News: A third installment of Goldy Knows will premiere on January 26th! 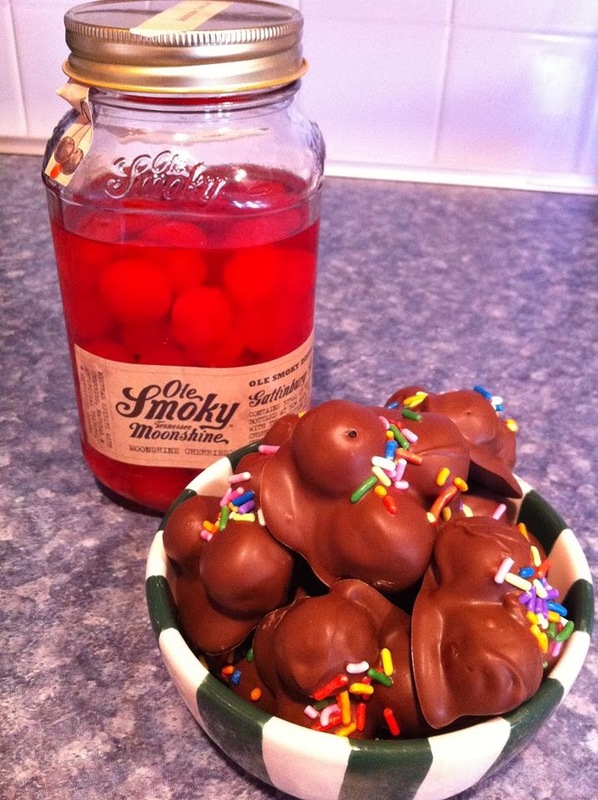 Cupcakes for Jasmine are next, maybe an Apple Pie Cupcake using the Apple Pie moonshine or Black Forest, using the literally flammable moonshine cherries. Many more celebrity stories to follow, including Zendaya, Full Throttle Saloon, The Flaunt Girls, and local tv and radio favorites from KC and concert cupcake adventures!